You're not alone if you're getting your boat out of offseason storage and ready to cruise again. With spring approaching everyone is starting to think about getting out on the water be it by boat or by paddleboard - or by both! Taking your SUP with you on your boat opens up so many new places to explore. But paddleboards take up so much space stowed in your boat, whether it's a huge yacht to a small sailboat. That's why we've got a number of different SUP boat racks to maximize your boat's space while taking along your paddleboard. 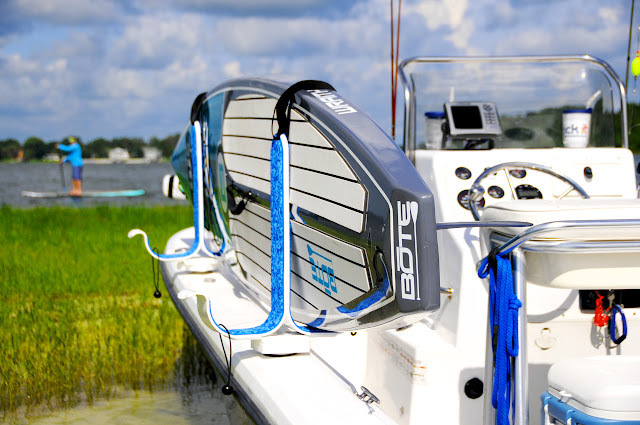 Stainless Steel Boat SUP Rack: this paddleboard boat rack is our top of the line, rail-mounted SUP boat rack. Made of marine grade stainless steel, this boat rack is designed for outdoor use and meant to stand up to serious outdoor exposure. It mounts easily to your boat's rails and adjuts with a quick release knob tightening system, folding smartly flat against your rails when not in use to maximize boat space. It can hold up to 3 paddleboards, depending on width, so it's great with a crowd. 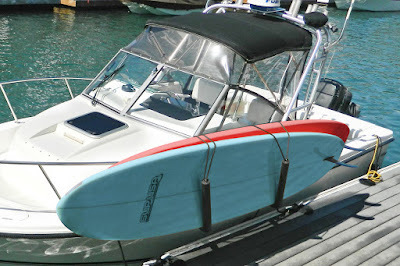 Double or Single Paddleboard Boat Rack: this paddleboard is another top boat rack option. First, it comes in a Single SUP Boat Rack or a Double SUP Boat Rack so you can accommodate however many paddleboards you have. Second, this rack works safely and easily with fishing boats and other center console boats. The rack slides directly into your fishing rod holders and makes loading and unloading your paddleboards a breeze, all while saving you space on your boat and keeping your paddleboard protected. When you're not using the rack to store your paddleboard, simply remove the rack arms and your rod holders are accessible.